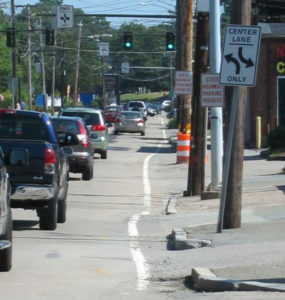 Congestion, curb cuts, and chaos on Needham St.
Sidewalks and street surface in disrepair, traffic jams, an environment hostile to people on foot or on bikes… but what can we do about it? Some would have us believe that such a landscape is an inevitable part of doing business. At Bike Newton, we don’t believe that’s the case. A sensible Complete Streets plan could be good for everybody: drivers, bikers, pedestrians, and most importantly, businesses. 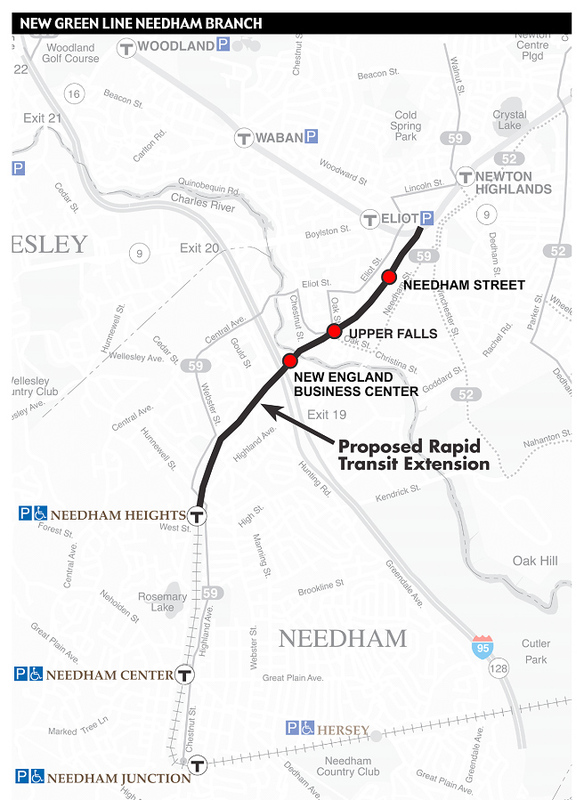 The rail-bed is already there, right behind Needham Street businesses. Imagine how many more shoppers could arrive at local Newton stalwarts like the New England Mobile Book Fair if they didn’t have to contend with Needham Street’s gridlock! And imagine how much easier Needham Street would be to navigate on foot or on bike if car congestion were eased because people arrived by rail. 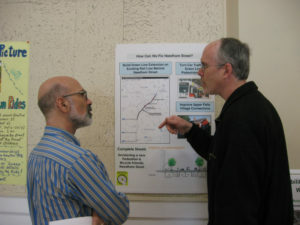 Some groups are also working hard to lobby for a mixed-use trail on the old rail bed. Of course, Bike Newton supports that effort as well: the rail bed is wide enough to safely support both light rail and a mixed-use path. 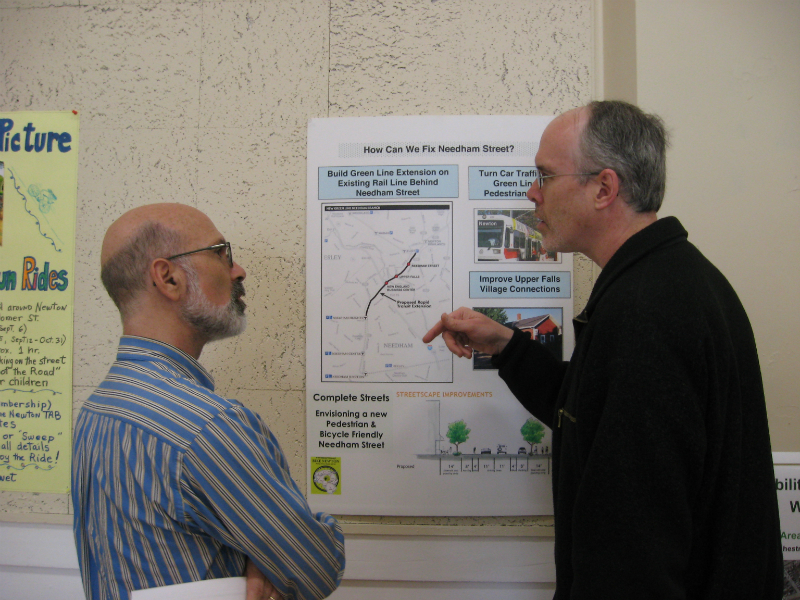 We have to be very careful, though, to make sure a rail-trail on the site wouldn’t ultimately get in the way of the green line extension. As bike-friendly cities like Amsterdam and Copenhagen amply demonstrate, the best ally of bicycle riders is a robust mass transit system, both because it reduces car congestion and because it gives bicycle riders a foul-weather option.